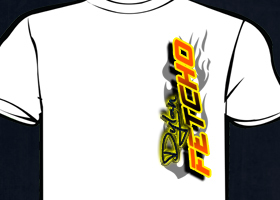 Full color, custom designed screen printed t-shirts. We can use your design or create a custom design for you. We do all designs in house. We work with you one on one to get what YOU want. Most anything can be wrapped. 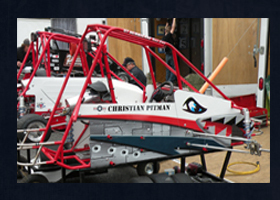 From personal vehicles to racecars, let us do it for you. From full color banners to large outdoor signs, let us help design your project. Check out some of the latest custom acrylic awards from Premier Sign & Trophy. Any logo or shape can be cut from the Acrylic. Awards stand out with full color. Premier Sign and Trophy can use your full color logos on your plaques and awards to help draw attention. These full color peices add a special touch to all awards. Premier Sign and Trophy is a family owned and operated business. We are conveniently located to Lebanon, Watertown, Mt. Juliet, Murfreesboro, and Smyrna, Tn. We can ship anywhere. We ship USPS, UPS, & Fed Ex. Premier Sign and Trophy is conveniently located to Lebanon, Mt. Juliet, Watertown, Murfreesboro, Smyrna, and LaVergne. We offer a wide array of services including trophies and awards. Big or small, we can handle your trophies and awards. Call us with your ideas and let us do the rest. Premier Sign and Trophy can handle all of your printed media needs. From full color business cards to full color tri-fold brochures, we take care of all design aspects start to finish. Give us a call today for your free quote. Need something for a special grandparent, want to remember a special occasion, or thank your child’s teacher or coach? These laser engraved picture frames are a wonderful and exciting way to do that. They can be completely customized to fit your needs or situation. We also carry acrylic and anodized metal frames, too. Check out some of the latest custom acrylic awards from Premier Sign & Trophy. Any logo or shape can be cut from the Acrylic.